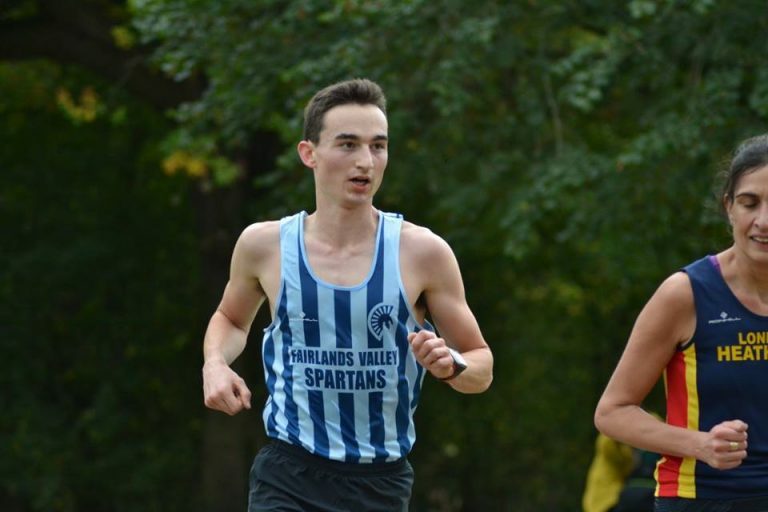 45 Fairlands Valley Spartans answered the club’s call to compete in the first Cross Country League race of the season. On a bright sunny morning the 17 women and 28 men raced round a parkland style course in Cheshunt. The leading performance was by CALLUM STEWART second overall in just 27 minutes 50 seconds. YUKO GORDON was first in for the Spartan women in 39:08 with ISABEL GREEN twelve seconds behind in 39:20. Three other Spartans achieved top thirty positions out of the five hundred runners. They were GRANT RAMSAY, 14th in 29:30; CHRIS WESTCOTT, 20th in 29:50 and SIMON JACKSON, 22nd in 30:03. A magnificent seven Spartans tackled the challenging Snowdonia Marathon at the weekend. Poor visibility made scenery at a premium on this Snowdon marathon, but mild temperatures and a damp day made for excellent running conditions. ROB EVANS ran an impressive 4 hours 31 minutes 18 seconds despite the treacherous final couple of miles which saw many runners fall. Sharon Crowley took 27 minutes off her season’s best from Snowdon last year to finish in 5:12:31, while Paul Holgate beat his 2016 time by 43 minutes with 5:26:00 to record his fastest marathon since 2014. Barry King, Karen Liddle, Tricia Hopper & Trudie Molloy ran round together in 5:35:48. MADDIE PRITCHARD and JIM BROWN were in London for the 25th Anniversary of the popular Serpentine 5K Last Friday of the Month race around 5K. Conditions were excellent for late October – warm and sunny with a light breeze. Maddie was 165th in 22:03 and Jim, after many months of trying, beat 24 minutes with a year’s best 23:55. He was 214th. Tim Robinson reports a tough day at the Beachy Head Marathon on Saturday. There was a cold wind and he thinks he picked up some sunstroke. The last four miles were monstrous with dizziness and strange visual disturbances. Tim finished in 5 hours 47 minutes 46 seconds. PAUL MAGUIRE completed the Dublin Marathon in 4 hours 26 minutes 23 seconds. ERICA GRAYSON took advantage of a half term break up north to run the Barrow Parkrun. She was happy to beat her Stevenage parkrun times on a hilly two and a half ran course with 26 minutes 49 seconds and second in her category. Fastest Spartan at a parkrun at the weekend was RICHARD BRUCE who was 5th at Bedford in 18 mins 23 secs. NICOLA KENNEDY ran at Nobles on the Isle of Man for the first time and was 1st woman to finish in 24:59. This week there were course personal bests (PBs) at Stevenage for SALLY PHILLIPS (29:29) and SELVAN NAICKER (30:06). RUTH REILLY was the fastest Spartan woman this week with 21 minutes 37 seconds at Ellenbrook Fields.